If these wild trailers for Mad Max: Fury Road are any indication of what we're in store for, it certainly promises to be a gorgeous visceral experience. This Japanese international trailer (complete with subtitles) was just released by Warner Bros. covers most of the same ground of previous trailers with some new operatic slow-mo action. The film stars Tom Hardy, Charlize Theron, Nicholas Hoult, Hugh Keays-Byrne, Nathan Jones, Zoe Kravitz, Riley Keough, and Rosie Huntington-Whiteley. 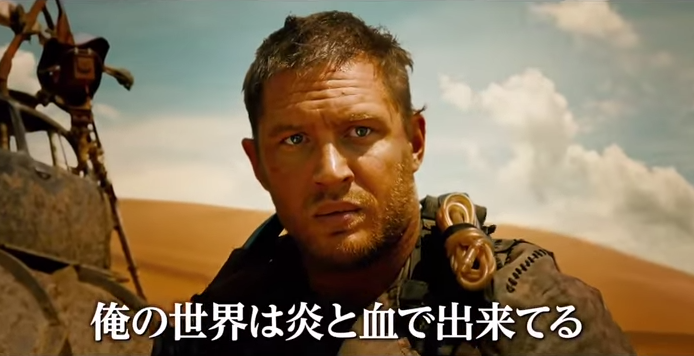 Mad Max: Fury Road roars into theaters on May 15.
international trailer Mad Max Fury Road movie movie trailer Tom Hardy video Warner Bros.
Labels: international trailer Mad Max Fury Road movie movie trailer Tom Hardy video Warner Bros.